Elgin Flameproofing will be showcasing their products and services at the annual Secunda Petrochemical Roadshow on the 28th March 2019. Visit their stand! 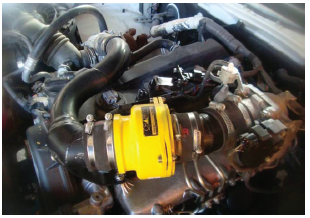 Safety devices are a first line of defense against the effects of engines going out of control if operated near potential sources of vapor leaks. 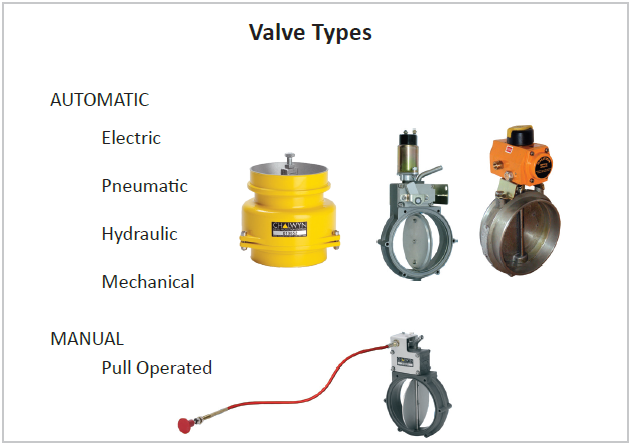 This article discusses these valve solutions that help prevent explosions. 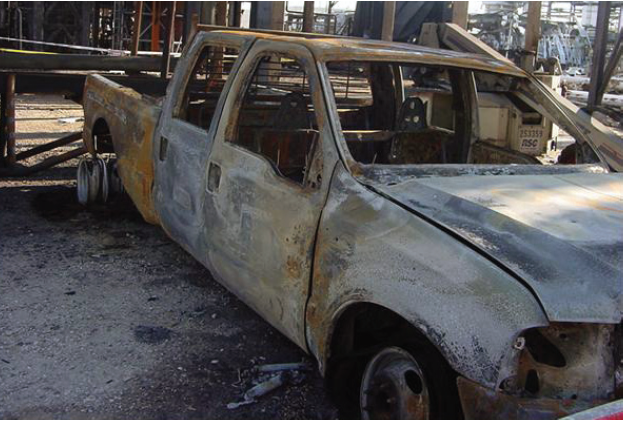 An increasing number of HSE Managers of international LNG production areas and terminals are recognizing the real threat of explosive detonation that can be caused by diesel engines. The consequences of operating standard diesel engines in the petrochemical industries have included the fatal explosions at BP Texas City in 2005 and the Macondo Well, Gulf of Mexico ‘Deepwater Horizon’ offshore rig in 2010. In these accidents and others recorded in the oil & gas industry, leaking hydrocarbon gas was drawn into the intakes of running diesel engines, causing them to overspeed and ‘runaway’ out of control to such high speeds that the engine detonated the gas cloud with catastrophic results. Solutions to prevent this risk were invented about 40 years ago with the patented Chalwyn automatic valve and related automatic overspeed shutdown systems. Now manufactured by AMOT in Bury St Edmunds UK, these lightweight metal valves respond automatically to positively close the engine’s air intake as soon as any uncontrolled overspeed occurs. This cuts off the air and safely stops the engine. 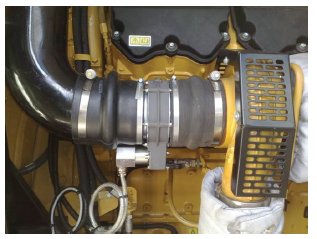 The LNG industry has been a strong advocate of these simple safety devices as a first line of defense against the effects of engines going out of control if operated near potential sources of vapor leaks. The world’s largest gas plants within Ras Laffan Qatar all enforce safety policies requiring exhaust spark arrestors and Chalwyn safety valves to be fitted to all plant and vehicles entering the production areas. Similar policies have recently been introduced in Canada, Oman and many other regions as a result of safety professionals now understanding that engine overspeed is often the first ‘gas detector’ with this runaway phenomenon happening at a fraction of the LEL (Lower Explosive Limit). AMOT has expanded its broad range of safety products to meet the needs of modern vehicles and engines. Their range of butterfly valves now includes an extra slim range of pneumatically operated PVA models with sprung automatic reset, ideal for modern ‘cab-over’ design of trucks. These utilize the vehicle’s air system to close the valve when an electric sensor detects excess engine speed. The company will also be offering high temperature silicone hose kits to complement their current range of speed switches an electric / air valves to help customers complete high quality installations. Electrically operated AMOT 4261 and Chalwyn SVX valves for smaller vehicles and industrial equipment are available to suit intakes between 1.5” and 10”, covering virtually all engines found in the LNG industry. This range will be extended in 2012 with a new 70mm 12 volt butterfly valve ideal for Toyota and other brands of light pickup vehicles where under bonnet space has become very limited. The company’s range of ATEX Certified Stainless Steel spark arrestors has been extensively revised for launch in mid-2012. The SSL range now extends up to 750 hp and 8” pipe size, with extra models in the popular 80 – 200 hp application range to give customer’s more options and more compact installations as often needed on the latest vehicles. For simple add-on spark arrestor installations, the revised range of SSE models now covers engines with outputs of up to 180 hp and 4” pipe diameter, while still complying to the strict no sparks test requirement of the defined EU standards (including offshore and defined ‘zones’). 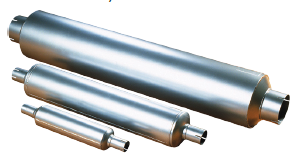 Although the UK LNG industry has long specified ATEX EN 1834 compliant cyclonic exhaust spark arrestors, there are many countries still using agricultural grade products that will pass small sparks that may cause an explosion in the event of a gas leak. These short cuts are often due to lack of knowledge of how spark arrestors work. Chalwyn’s international distributor network teams will be visiting many LNG terminals this year to further explain about the risks from unprotected engines and best practices already employed in all of the UK receiving terminals. Countries as diverse as Nigeria, Yemen and Angola have started their own safety policies to prevent repeats of earlier explosions. LNG safety executives can’t risk ‘cutting corners’ and welcome these latest technologies that help protect their facilities and employees. Stephen Gale is a Business Development Manager at AMOT. For the past 11 years, he has been focused on diesel engine safety in his role of business development for Chalwyn and AMOT. He has presented on accident history, the lessons learned and safety regulation changes to the Texas City Safety Council, the ASSE in Kuwait, Texas A&M University (Doha)and several global oil and LNG companies including RasGas and Qatar Gas. He graduated with a BSc in Mechanical Engineering from Bath University in 1977. He worked in the UK and US for Lister Diesels Inc. and later was in sales management for Deutz and Mitsubishi engines.